So some of you may have read all the recent news articles encouraging parents to now introduce peanut products early to babies. A recent New England Journal of Medicine article prompted all this discussion. They basically took 640 babies who has severe eczema, asthma, allergies to either consume or avoid peanuts until 5 years old. 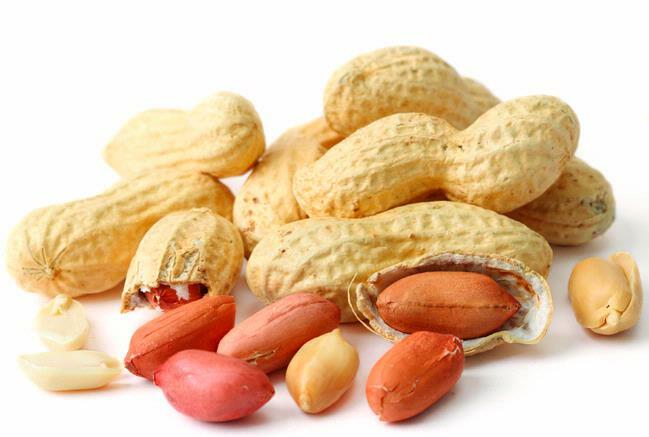 The conclusion from the study is that early introduction of peanuts significantly decreases the frequency of peanut allergy development among children who are high risk for this allergy. This is a big deal because in the past, the recommendation had been the opposite. Although back in 2008, AAP did say that there was no shown benefit in delaying giving solids beyond 4 to 6 months, many continued this practice of avoiding allergenic foods. Now it is thought that this old recommendation to delay introducing peanuts to babies has caused the rise in peanut allergies we see in the US! Well... I'm afraid our youngest has a peanut allergy. None of our other three children had any significant food allergies, so my guard was down with this one. While the older brother and sisters were eating peanut butter and jelly sandwiches one morning, I decided to also give L some pieces of bread with a good amount of peanut butter on it. "Mmmm..." he says and seemed to like it. So I gave him more. Now, don't do what I did! I continued to give L peanut butter topped bread pieces right before our 45 minute car ride to a Please Touch Museum. Plus, I did not think to pack Benadryl in the car. So as we were driving, I noticed L starting to rub his eyes and getting really fussy. I was sitting in the back with him and right before me, hives started popping up on his face. Wow, this kid is allergic to peanuts! I went into panicky mommy mode. We did finally stop at a pharmacy and get some Benadryl for him. L is fine. But now we'll have to formally allergy test him! No more peanuts for now... and sadly maybe forever. This would be a medical emergency requiring treatment with an epipen. In fact, anyone with any food allergy should have an epipen for emergencies. So peanut allergies can be pretty serious. If allergic to peanuts, must avoid peanuts or any products that contain peanuts! Also need to know how to treat mild symptoms and how to spot and respond to more serious reactions. Talk to your doctor. Now depending on the severity, there is a possibility to outgrow the allergy. Testing and retesting can help determine this... but never try to orally challenge your child at home!